While at the show, Pfannenberg also was awarded B.E.S.T in Baking for qualifying for the Equipment category. The program was designed, "as part of a commitment to positive transformation in the world". IBIE has "identified sustainability as one of the industry’s top priorities. The vision is to recognize suppliers and bakers that foster energy conservation, reduced water usage, a decrease in landfill waste, healthy living and/or a reduction of the overall impact on the environment". This program was highly competitive and many companies who applied did not even qualify. 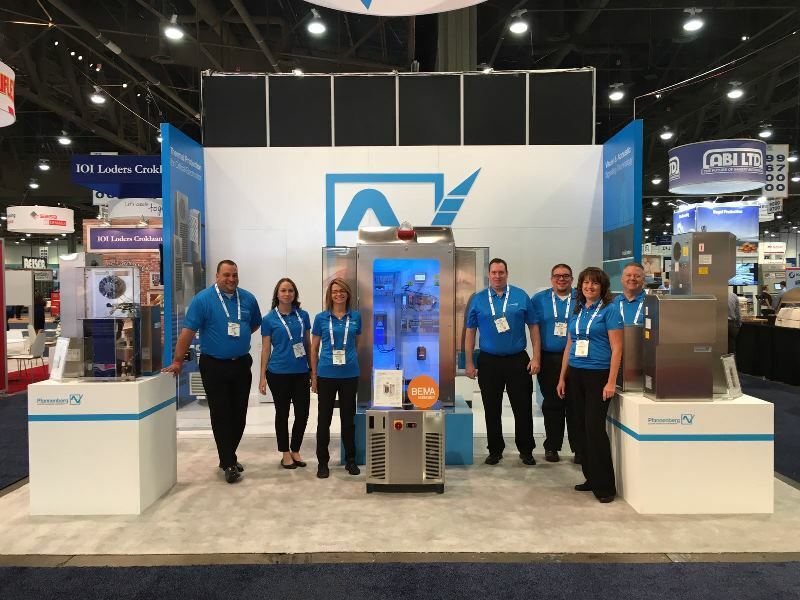 Pfannenberg featured their stainless steel PWS water cooled enclosure cooling products, packaged stainless steel chiller, and display for signaling lights and sounders for workplace safety. IBIE 2016 was amazing! Thanks to everyone who stopped at our booth and made this BakingExpo a great success! IBIE will return to Las Vegas in 2019 and you can expect to see us there! New sections for Engineered Solutions and Industry Group Specific Solutions. Shared expertise to find the best solution for any type of application and environment. Easily determine the correct thermal management products for your application and environment. New high resolution detailed product pictures with cut-aways.